Mint Clinic Mouth Cancer and the Risks if not treated on time. With Mouth Cancer Awareness day coming up on the 18th of September, Dr Richard Lee Kin explains a little more about the risks involved with mouth cancer. There are very few and you won’t always be able to spot the earliest warning signs of oral cancer. That’s why regular check-ups with both your dentist and physician are so important. Your dentist is trained to detect early warning signs of oral cancer. If you are a smoker and drink alcohol, your risk of developing oral cancer is increased significantly. 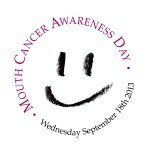 • Ireland now has a free national oral cancer screening day every year and patients have no excuse not to attend their dentist. Click here for more information. If you use tobacco (smoked or chewed) and drink too much alcohol, you will greatly increase your risk of getting mouth cancer. If you do both together, your chances of getting it are even greater still. Prolonged exposure to sunlight can increase your risk of lip and skin cancer ;the chances of getting mouth cancer are greater for people aged over 40 years, but younger people can get it too. You are more at risk of cancer if you don’t eat a healthy diet. How to detect mouth cancer? Your dentist can spot mouth cancer early. If it is detected early, the chances of a cure are very good. At the moment a number of those diagnosed with mouth cancer every year in Ireland die of it because it is discovered too late. • examine the inside of your mouth with a small mirror, looking at your lips, cheeks, tongue, the roof of your mouth and your throat. Your dentist can see parts of your mouth that you can’t easily see or feel yourself. Your dentist may notice something in your mouth that needs to be monitored or needs to be seen by a specialist. Regular examinations mean that your dentist can spot problems early – and these include mouth cancer.